There is a distinct decline in the level of civility on all the sites here. Some of this is due to new users coming in and posting spam and other nonsense, but the off-topic and downvote buttons are doing a pretty good job of keeping this under control. Unfortunately, a lot of this is coming from more experienced users, and the site's built-in moderation system does not (and probably cannot) handle this very well. Folks are rushing to pound new users down with "this belongs on meta! ", "this is off topic", "this is a duplicate!" and "read the FAQ!". (Which is correct, but should be done nicer) All this, of course, is accompanied by a flurry of downvotes. This is not very welcoming to new users who don't know about meta, the FAQ, or what counts as off-topic. Now I am not proposing that we just allow off-topic, meta, or duplicate questions. However, I think we could be gentler in the way we express these sorts of things. Explain what meta and the FAQ are and provide useful links. Just using please and thank-you when asking folks to read the FAQ or post something on meta would be an improvement. I also think we could rein in the downvoting a bit. Not that we shouldn't vote stuff down, but unless a new user's post is clearly spam, voting it down to -1 or -2 should be sufficient to send a message without piling on. I like Stack Exchange and I want it to become a resource for everyone, not just an elitist site for high-rep users on the sites. 1 upvote clears the rep cost of several downvotes. New users need to learn and those with the "mod" class rep levels simply don't have time to hand-hold all the new users. I (and we) always take "n00bism" into account before smashing down (I tend to favour closing if possible to save them rep). The up/down vote system is not just about rep, it is the quality control mechanism for Stack Exchange. On the welcome page and the FAQ it clearly states everything that you have mentioned. Now, like I said, we should take it into account. But the fact remains, the up/down vote system is the core of how we get the "good stuff" up and the "bad stuff" down. It is not designed to be a personal attack against the users in question. I don't even think it really belongs on uservoice. I would have commented and closed it. I would not have voted down due to the fact that it is a valid question and not really covered by the official FAQ (the "unofficial FAQ" really pisses me off, that should not have survived private beta for this very reason). The abusive responses are not helpful, I have modded them down, and everyone else should have done the same. Can we please remember that we are supposed to be adults, we are supposed to be problem-solvers by trade. So, can we try to apply some brain cells to things please? This type of question is considered a 'poll' and is outside Stack Overflow's scope. Please rephrase the question so that it can be answered definitively or it will be closed. ...or something like that. I think that the moderators on javaranch.com do something similar when their newbies break the rules. I recommend some type of cookie-cutter response that we can just copy-and-paste depending on the mistake made. I agree with Outlaw Programmer, but would add that it would be useful if there was a menu or similar to quickly (and politely) allow "problem post" identification. For example, if you see that a post is a duplicate, you hit a button, enter the URL/ID of the post duplicated. Successive viewers can then agree or disagree. The question poster will get a canned and polite notification. So instead of templating being a burden on individual users, have it be a function of the system for the most common problem posts. In essence this would be a votable, post classification tag. Quick and painless for advanced users... just choose the classification from a list of canned ones, or vote up the existing classification(s) if you agree. It would be friendly and helpful to the new(er)bies. They would see "15 people think this post belongs in the uservoice section. Do you want to move it there?" or "107 people think you should probably add more detail to your question. Edit now?" I definitely believe this is a problem. I recommended this site to my sister recently. She is an inexperienced programmer, and her project director switched them from Visual Studio to Borland mid-project. She has a master's degree in mathematics and has only taken 1-2 college level programming classes, but she has been added onto a programming project as one of her tours in the entry level program of her department. She was struggling with some of the differences between the two development environments. She did find some help on certain Borland sites, but she had been largely at a loss for some of the errors she was running into. That's when I sent her here. I've been following Stack Overflow since Jeff Atwood started talking about it on Coding Horror. I have to confess I am more lurker/observer than anything else. I was extremely pleased at how quickly questions were answered, and she joined up on my recommendation. Her first question was almost immediately attacked as being homework, while also being voted down and criticized for its format. While some of the reasoning (except the homework stuff) was accurate, the method in which it was presented was wholly inappropriate, especially for a new user. She was almost immediately turned off by the responses, and felt like she should return to her forum resources. Thankfully, a few long time users came by, ANSWERED HER QUESTION, and encouraged her to keep participating. They redeemed both her opinion and my own about the site. There was a night and day difference between how the users, who basically took the same actions in showing her a better way to ask the question, responded. While I definitely believe we need to be using up/down votes as they are intended, if members can't be respectfully helpful to new users, we need some new way of communicating the proper way to use the website. Maybe it's time to acknowledge that users need clean guidelines? If people keep asking such questions, maybe you really failed to explain what Stack Overflow is. I'm a newbie and a few days ago I asked How many reputation points do I need to do X?, At this point I had already read the FAQ, browsed by the page and even answered a couple of questions. I still get a canned "Try looking at the FAQ here". Having read the FAQ I felt a little bad, until someone else clarified that there is an "Unofficial FAQ". I think that there should be a really big (or at least the same size as the other ones) link to a real FAQ which includes all the information in the Unofficial FAQ. I suggest we extend Badges to incorporate tests on various subject matters, instead of just auto-generated values, as it does now. Just like real boy-scout badges. Learn how to tie a knot, take the knot tying test, get a badge. Read the FAQ, take the FAQ test, get a badge. Implement a n00b training and rating system as part of the user account. When a person makes a new account they start out as a n00b, with a score of 0. If they want to increase that score, they have to take tests. The score on the test advances your n00b score. There are multiple tests in different topic areas, and the various tests are weighted differently. For example, there could be a test about basic site navigation. It could be a low valued test, so even if you get a 100% score on the test, it only boosts your n00b level a little. Another test could be proving you know the answers from the various FAQs. This could be a medium weighted score. Another test could be proving you know how the various social systems work, and what socially acceptable behaviour is. It would help to have a "coding standard" type document that covers this, so that people who don't just "get it" can learn it. This kind of system is already in place on a lot of forum software, but they rate the users on how many posts, giving them various levels of experience, starting at n00b and ending at SysOp (or Admin for you youngsters). This will be an additional rating system to reputation, and it's opt-in. Reputation is socially controlled. User experience level is something you can learn and test your way to success with, whether anyone likes what you have to say or not. In this way, you can prove that you've read the FAQ, and understand it enough to answer the questions in the test, and get the appropriate "scout badge". That way, when people are answering your questions, they know at what level to start.. A respondant might think "Should I mention the FAQ to this guy?.. Oh, no, I see he's read the FAQ already, and he's still asking this question. Let me think about it a little deeper, or see if the FAQ is ambiguous or lacking in content. ", etc. I think a system like that would be very cool. You could even have technical topic area "certifications" that can contribute to that... So a user can prove that they know what the heck they are talking about in C++ or Win32 COM programming. The tests could be user generated, and people could add new ones, evolving the site as it goes on. We've all been noobs, as superwiren stated, that's certainly true. But there's a correct way to be a noob, and a wrong way. When you visit a new place, you should spend some time just looking around and absorbing the culture. That way, you'll learn how to behave in (local) community. When you ask the first question or give a first answer, you'll do it the right way. The other way is to start dancing fandango in a crowded metro. Generally, this is somehow frowned upon. Many commenters are forgetting that for every noob that doesn't know how to behave there are ten of the first sort. Kudos to them! And to show them that we appreciate them, we should scream at the latter sort even more loudly! Maybe Jeff Atwood and Joel Spolsky could put together a video tutorial explaining how Stack Overflow works and explaining some of the do's and don'ts. From seeing a video of Joel giving a presentation of FogBugz and listening to the podcast I imagine they could make it humorous enough that people would watch the whole thing and informative enough that they could raise the level of n00bism here. In fact, I think it's such a good idea that I've made a uservoice suggestion for creating a tutorial video. And it's been declined: "if the site isn't somewhat self-evident, we have failed -- video or not". I am a noob. I've been registered for less than 24 hours after finding Stack Overflow on Reddit, and I've been impressed with both the level of civility and usefulness of many of the questions and answers. 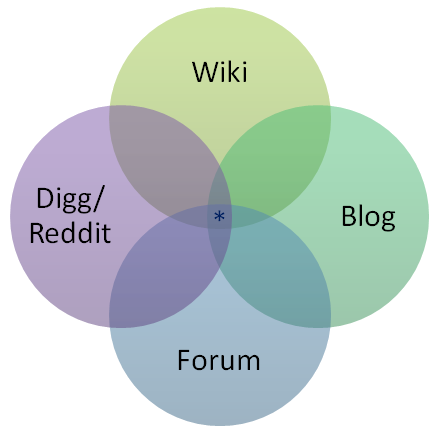 I'm also very intrigued by the reputation system and the inventiveness of the site's designers in trying to design a system that keeps up the site's quality and doesn't let it devolve into something like Digg. Both of these things encouraged me to try to engage with the site (in spite of the OpenID painfulness) vs. just lurk and go away. I have 63 mod points now, so I don't think the 15-point up-vote hurdle is too high at all if a dumbass like me can pass it. In short, from the noob perspective I don't think there's a big problem, but I do appreciate Chris' advice that you all be nice to us (except for the cretins with the "How do I use Windows?" questions). The system is complicated enough that the real, AKA "unofficial", FAQ really needs to be linked to in the menu (as levhita suggests), not the useless one (or merge the two). If lots of people are asking the same questions about Stack Overflow, then that's potentially a usability problem. And if lots of people are asking (and answering) poll-type questions, then that is apparently an interesting use-case. This is not very welcoming to new users who don't know about uservoice, or what is offtopic, or the unofficial FAQ. How can we explain this to them when having discussions in the "answers" area is strongly discouraged? I say let 'em find out what this site is. It doesn't take long. And if getting voted down makes someone cry, then he shouldn't use this site at all (or Digg or Reddit or ...). I am a newbie myself, and I really like the idea around the site. Reputation-based is really great and fun and makes it like something of a Wikipedia 2.0 in my opinion. There is just one thing that annoys me a bit. I saw a couple of newbies being heavily downvoted without any answer or explanation. While this has not yet happened to me personally, I can imagine how frustrating this is. What about downvotes requiring mandatory comment? Now I agree that 'RTFM' would be enough of a comment - still it would definitively look less cowardly. I think there is this inherent fear--perhaps a subconscious one learned after spending time on Digg, Reddit, Hacker News, and other similar community-run sites -- of a flood of new users decreasing the quality of posts on a site like this. If anything, such a fear dates back all the way to the Eternal September of Usenet, back in 1993. This fear leads to an overreaction when people see what they think are junk questions posted by newer users -- whether the questions are simply offtopic, or perhaps trollish or ignorant, or perhaps highly subjective. People are afraid of the quality of the site being ruined by such things, and whether justified or not, they break out the downvotes in droves. I disagree. Voting down should be used judiciously but I think it's still important that it be used. I think the system already has enough built in protections in this regard. Down votes are costly to the voter (-1 rep) and have only a small effect on the rep of the target (-2 rep). Not to pick on the author of the given example, but take a look at his user page. He's posted 1 question and 1 answer. His answer has 0 net votes and his question has -5 net down votes. Yet he has, just now, 47 total rep (which, incidentally, is enough to allow him to vote answers up or down, per his complaint/question). Given this I think it's a bit ridiculous to say that people voting his question down represents "being hard on him". Post first, ask questions later. Maybe users should have to post an answer before they can post a question. Then they would have had to start using the site before they post bad questions. I would almost go so far as to require users to post more answers than questions. Because as far as I can tell anyone who actually uses this site has answered more questions than they have asked. Being noob here doesn't mean being noob in computing and communities. It should be not a requirement to "lurk first - participate later". This is what noobs very often hear from nerds and pseudo-elites. Good site must accept anyone with positive mind from the first minute. And yes, normally 'lurking' applies to the sites with close-minded jerkish societies, which I hope is not a case here. It would be nice just to forbid down-voting newbe, especially when he has low reputation points yet. Yes, just a hint (in form of tags) would be nice to point newbe to right direction. Noob, just came to the site, sees questions-discussions-polls like "What the best features of X are" with high votes, and thinks this is legal on this site. I don't think this site is designed for elite members, so you should be more polite and forgiving to new members. Normally communities tend to be extending and this, I think, is a main goal. Otherwise so many noobs will leave your site for ever. Voting system isn't very well designed, you should admit it and try to make it even better. Sometimes noobs may give you good advise. (Sometimes - may not). I have to agree, although I've probably been short with a few, but how hard is it to search before you ask? I marked at least 8 posts as duplicates in just the last 2 hours. Some coders are childish and uncivil, as if what we're doing in this business is so darn important that shaming others is justified when we're even mildly annoyed. Are they a bad person? Have you never done something stupid? Have you appreciated a helping hand? We live in a world where some people murder other people over their beliefs. If someone has so much in common with you as to ask you a question, even if it's not a very smart question, do they deserve to be slammed? If you were asking, would you deserve it? I know I stopped dead in my tracks when I noticed that to post anything on uservoice I had to create yet another user account and that I couldn't even use my OpenID ID like I could on Stack Overflow. I mean, if the websites are so closely related, wouldn't it make sense for them to behave in the same manner or even better to actually share the same user system? As it stands, asking a question on UserVoice is more difficult than asking one on Stack Overflow and many people discover Stack Overflow directly and only see UserVoice later (if they even do). Given that, is it so surprising that people go for the easiest and just post their questions on Stack Overflow? The growth of the community depends upon new users. New users to test the waters, grow the fields of discussion. I posted something I knew to be off-topic and got slammed. For new users, perhaps there should be a lower limit to the times any one question or comment can be down-voted. A reputation that was built in three days was destroyed in less than 5 minutes; just from trying to feel out the limits. Obviously, the site isn't entirely programming but, if a question edges too far from this it gets raped. Being pretentious, snobby, mean, and generally negative is not a way to build a helpful community. I'm a noob(ish) and I read the FAQ before I asked anything. I think RTFM is a reasonable request. I didn't come here to be spoon-fed. This site is quite intuitive and there aren't any challenging new concepts to learn about how it operates so there is really not much excuse, apart from laziness, to use it as it is intended to be used. Having said that, there's no excuse for rudeness. A simple "Please Read the FAQ" should suffice. Remember, we have all been n00bs. It has never hurt anyone to be polite. On the other hand you would expect new (and old) users to do a little investigation before posting, and trying to see if the question already exists somewhere. Wikipedia has a solution to such a problem. This is done by a nice short welcome message explaining the importance of a few rules, rather than simply pointing out the FAQs, and tons of best practices papers and guidelines it has. On top of this, whenever a user makes a mistake he is given a chance to correct it by opening a dispute page. Perhaps we can consider something like that here. If a question is a duplicate, give the user a chance to defend it and maybe even go so far as to stop downvotes on a disputed page? Because on Stack Overflow, once a question is disputed, downvotes seem to fly off faster than the speed of thought. Read the FAQ (This tag might be too vague?). Once a post gets tagged with any of the above tags, a small block explaining the details of such a tag should appear by default on the question itself with an automatic link to a resolution page where the community can vote and discuss it. If consensus is gained, the question can be deleted without getting voted down. This will preserve the reputation points of the user as well and this will make the responses of the question more clean, as right now the discussions on such disputed questions seem to be more about the dispute and less about the question. Just my 2 pyas. Being noob here doesn't mean being noob in computing and communities. Today, I had a problem that I needed to solve before leaving work. Having read the relevant formal documentation, experimented and googled for a few hours for related infomation, I raised a question on Stack Overflow. I have to confess that pressure of my deadline meant that I did not spend any time working out what the various links and buttons on the question submission screen did, and I didn't find my way to any FAQ until later. I also found that my (employer dictated) Internet Explorer 6 did not display the question entry page properly - some fields displayed on top of each other. Somehow, although I quoted my sample code and could see that I had done so in the preview, after I had submitted my question, I found that the code was no longer quoted. Almost immediatly someone, commented rather abruptly that I'd failed to quote my code and voted my question down giving it a negative score. The commenter did not offer an answer or any advice on how to correct my presentation problem. Shortly afterwards, some more helpful reader just quietly corrected the layout of my question. Within a couple of hours my question had attracted more than 50 readers, 3 partial answers and a positive vote. One contributor tried to give a complete answer but someone else pointed out that he was wrong. Five hours later my question on a very common Java library remains unanswered, so I suspect it will prove to be a good question - I actually suspect a bug in the Sun libraries. The links for edit|delete, the FAQ and other links are not as prominent as other buttons. In fact, even allowing for my Internet Explorer 6 problems, I find some of the screens messy. By that I mean buttons and links in different styles are scattered around the screen, and it is not obvious to a first time user where to look for a button or link or just find all the options available to them. For example, the link to the FAQ is in very small print at the bottom of the page but the button inviting users to submit questions, answers and comments is enormous. Standard comments from a drop down list (rather like FriendsReunited's messages) might help users to provide standard polite responses to the common errors made by new users. I'm happy for questions and answers to be voted up and down based on usefulness. However, since questions can be edited and the presentation improved, it would be nice if voting a question down because of poor presentation were discouraged and advice (or help with) improving presentation offered. My questions has only been half answered (sufficiently for a workaround but not a complete understanding). Even having read the FAQ, I'm unsure of the etiquette for updating my questions to ensure that it is clear to others that it is incomplete. Here is another very-new-noob who is experiencing (at least moderately) this same thing. I started by just wanting to be helpful. Then after realizing that I need reputation points to post comments, I started focusing on unanswered questions, hoping to get up-voted for helpful answers. It seems like some people ask a question and then just forget to vote for any answers at all. I've even started learning concepts on the fly, to try and answer questions that I previously had no knowledge of (LINQ for example). I think I will stop trying this though. I've done my best to follow the rules, make my posts meaningful and helpful, and not repost what others have already said (even though I have on a few occasions). As of right now, the ONLY vote I have is a down-vote on an answer I provided that, at the time, I thought was a perfectly acceptable answer. I think Stack Overflow should really be strict regarding the quality of the submissions in this site. Look at Digg now. They grew very very fast, and they didn't mind about the quality of the submissions and now look at where they are. Submissions are junk photos not related to NEWS whatsoever. Compare this to Hacker News. They are very strict about the quality of the submissions. They have moderators who can down vote the article right away, they have complete control over the articles. They are growing fast. Very fast. But the submissions are still of high quality. Let's see what's happening on Stack Overflow . Obviously this site is like Yahoo Answers but for coders. And let's be honest. Anyone can access this, not just coders. Stack Overflow is growing super fast. And if Stack Overflow will tolerate the trolls, I'm afraid we will be heading to what Digg is now. Digg has high quality submissions + junk submissions that managed to get 5k+ diggs. If Stack Overflow tolerate trolls, Stack Overflow will still have high quality questions and answers + troll-like questions and answers that can also manage to have 100+ votes. Let's follow what Hacker News is right now. Let's be like them. When I started, I asked a couple of meta questions on Stack Overflow and people were nice about their answers. But, and I think this is an important point, I think the questions were NOT obvious and there was not a good place to get an answer to the question. For example, I asked TODAY about how to get a better understanding of Stack Overflow and was directed to the "offical FAQ". What I absolutely don't get is how come that official FAQ is not the page that new users see when click the FAQ link at the top of every page. I REALLY don't get it. I wanted to learn, but I had to ask a question on Meta Stack Overflow to learn. So until that is corrected, I think new users should be cut some slack. Not all of us are idiots or lazy. And even the official FAQ needs work IMHO. I know it is a work in progress, but I am only arguing that patience with newbies should be the order of the day. That's what a community it; without it you don't have a community. Stack Overflow is perfect the way it is. It's not a place to "chill-out" and have fun. It's a place for programmers and software developers to share their skills and learn new skills. There are plenty of other forums and tutorials to learn programming for starters. Stack Overflow simply isn't the place to start learning about programming. As a general rule of thumb, if the concept of a stack overflow doesn't ring a bell for you, you might want to learn a bit more about programming before posting here. I just wanted to say that I haven't yet noticed any "noob-bashing" yet. I've asked a couple of questions already that probably have been asked before. The replies I have received have been prompt and informative. If there indeed is a problem with established members of your "sandbox" being rude or elitist, I have not noticed it and am glad, because this would probably have made me turn away to another site that doesn't condone that sort of kindergarten tactic. This site so far has been great, and so have the members! I'm glad there is a place I can come and post a question without having to be told to "read the #*($ manual" or "Use the search". Sometimes, what people need are just quick answers to help them along their way. Is this lazy? That can be debated to no end. But is it helpful? Of course! And I hope to see this community thrive on that principle. There is no need for experienced programmers to feed their ego by kicking the noobs around. And I want to re-iterate that I'm glad it hasn't happened to me. Not the answer you're looking for? Browse other questions tagged discussion etiquette new-users behavior . How do we prevent piling-on of passive-aggressive comments on low-quality questions? Why can the senior Stack Overflow community be hostile toward newbie questions? Why are SO participants so unfriendly? Is Stack Overflow just for elite programmers? How should this 15 year old poster be helped? How can we be friendlier to new users? Why are questions with poor grammar and/or asked by new users down voted so hard? Could we please be a bit nicer to moderators?